How To Start Your Own Back Garden Nursery – New Video! We have a new video for you! 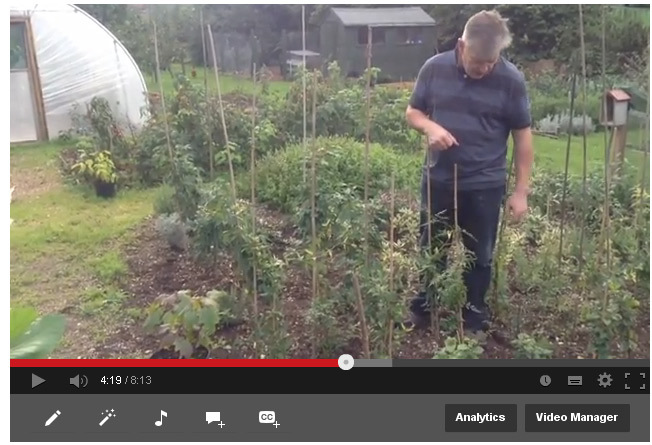 Just finished uploading the last in our current series of videos on how to start your own back garden nursery. Find out how the softwood cuttings cuttings we planted back in July are doing in the sharp sand bed. I can’t believe just how much growth they’ve grown in just 10 weeks! If you’re wondering if you could do the same then you should watch this series of videos. We started started with a few softwood cuttings just over 2 years ago … and now have an opportunity to develop this further into a fully fledged plant nursery, and all right in our back garden. I still wonder how it came together, but like many things in life it’s about diving in and having a go! You can watch the third video in the series by clicking on the link below. Please take a look and see just how simple it is to grow a few plants with very little investment other than a bag of compost and a box of sharp sand. We do hope you find our videos useful. Hi Jack … and thanks for your kind words. It was never my intention for the nursery to provide a full time income … but more to generate a few extra pounds to fund my gardening. To that end it works well! Are you thinking of something simiular?